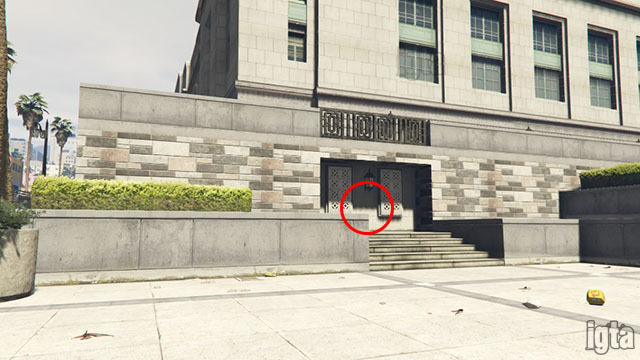 Yet another Vinewood murder can be uncovered in the new-gen version of GTA V but only available to players who have previously played the PlayStation 3 or Xbox 360 versions of GTA V (connection to Social Club required to prove that). Unlike other returning player bonuses this one can only be completed with Michael who is available after completing Complications. There are no notifications or any hints of where to start. 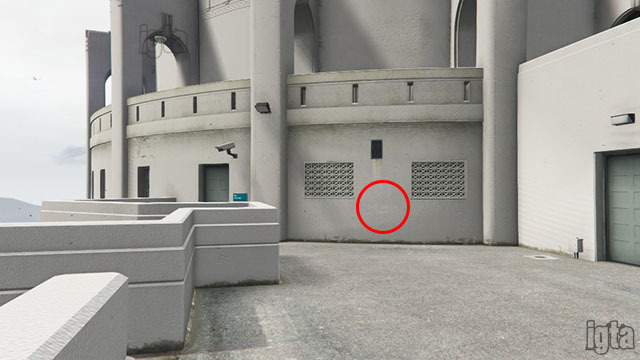 There are four writings carved into walls in the Vinewood area. There is no specific order to find them in. When you get close enough a glass breaking and film reel sound will play to complete that clue. You do not need to do anything else. Galileo Observatory, Vinewood Hills - on the lower east side of the main dome (pic) "David Richards knows"
Gentry Manor Hotel, West Vinewood - on a wall east of the pool area (pic) "Old Fred acts nice, but it ain't so!" 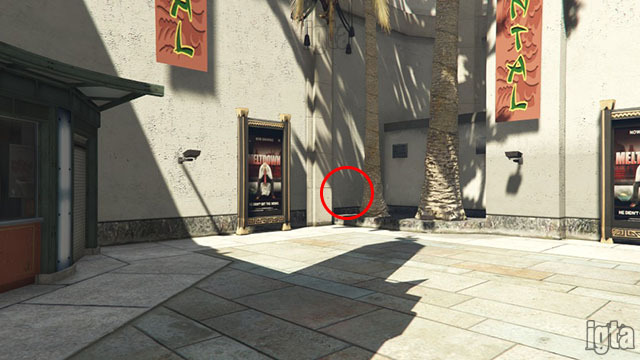 Oriental Theater, Vinewood - northwest corner of the courtyard next to the trees (pic) "Ain't no mystery. They drowned her because of what she knew!" City Hall, Alta - southwest corner of the building under an inset lamp (pic) "Fred makes cartoons for kids, funny thing considering what he hid"
There are two pieces of evidence. The first can be discovered at anytime like the wall writings. You need all five to unlock the final piece of the puzzle. 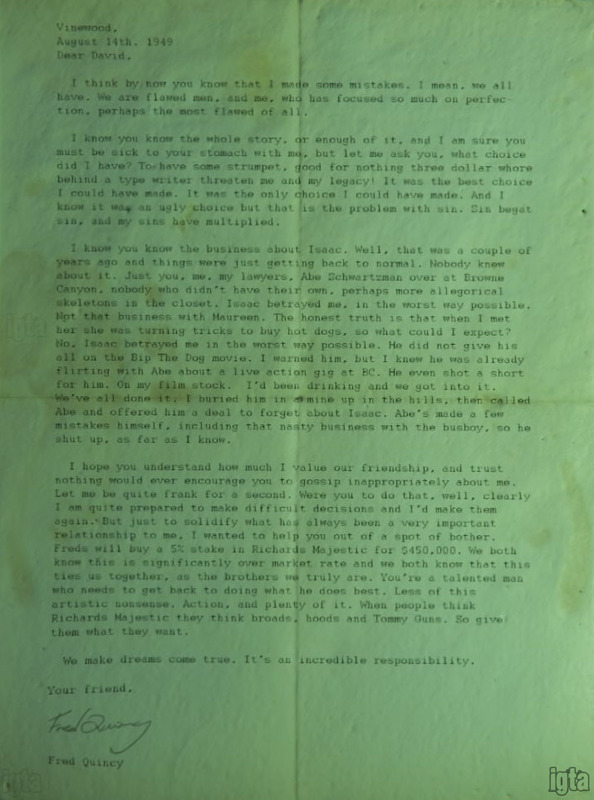 The letter was written by Fred Quincy of Fred's Pictures and was sent to David Richards - Solomon's father. Fred confesses to David that he killed an associate named Isaac who wanted to do a live action film with another studio instead of cartoons with Fred. 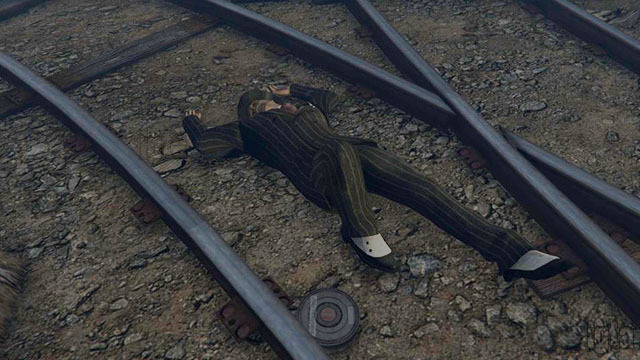 The body was hidden in a mineshaft out in the hills. To solidify Fred and David's friendship, Fred offered David $450,000 for a 5% stake in Richards Majestic. The woman under the water is possibly Quincy's secretary who tried to blackmail him. 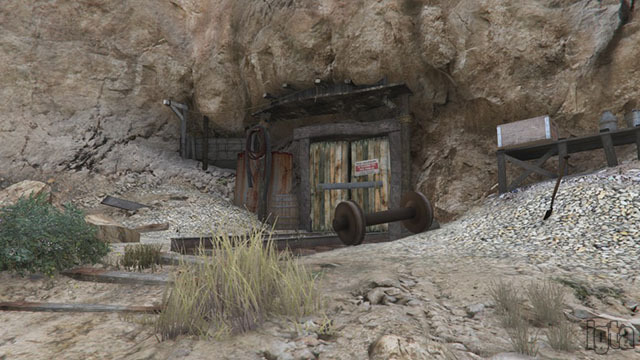 Head to the old mineshaft in Great Chaparral. 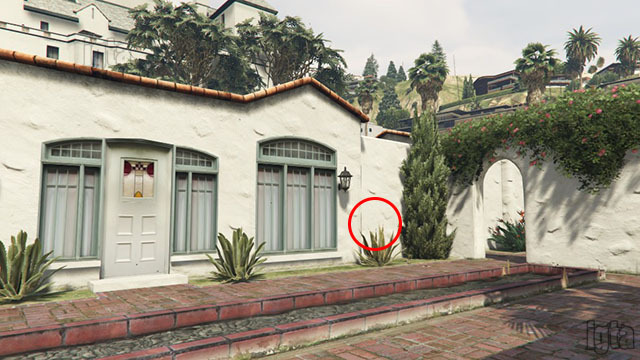 Use an explosive or shoot the hell out of the wooden door to break it open enough to get inside. Travel down the shaft until you find Isaac's body at the fork. Note a film reel near his feet with "Richards Majestic" written on it. Get close to hear the glass breaking sound one last time. The mystery is now over and two noir filters are now available to all protagonists. 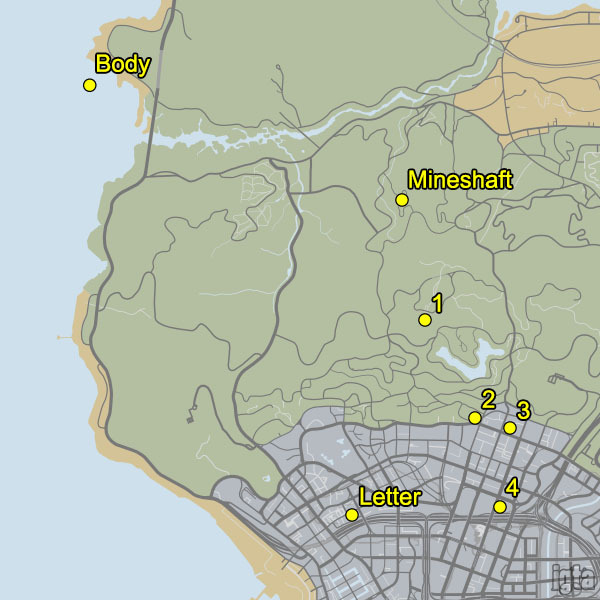 Access them by either standing next to Isaac's body or call his contact in your phone. Again for the clues you only need to get close enough to hear the sound effect. The camera does need to be looking at the carving. No need to take a picture or even zoom in on it. You need to be on foot for the discovery to count. You'll likely need a SCUBA suit to reach the underwater body. 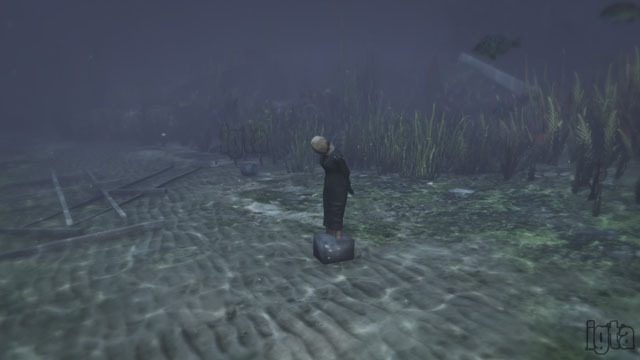 A submarine (found at the sonar collection dock) may be a good option too since sharks can appear in the area. You do not need to leave the submarine for the discovery to count. It is possible to get into the mineshaft and find Isaac prior to completing the clues. However, you will not get the noir filters. Note there is also a letter scrap from the Leonora Johnson murder outside the mineshaft.